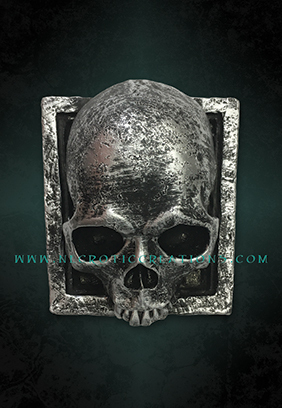 This lightweight Skull Keystone is the perfect center piece for any gothic hallway or arch. Complete with stone finish and texture it will blend right into your haunted surroundings. Same as Above. 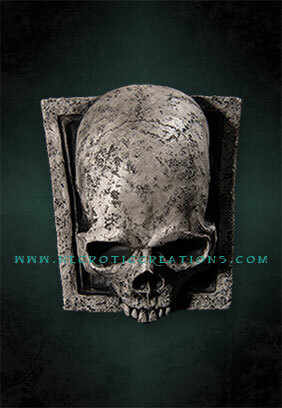 Complete with black and silver finish and texture it will blend right into your haunted surroundings.